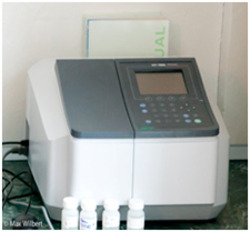 We are also offering Analytical method development and validation services. Sdparc designs the analytical method–validation protocols depending on the regulatory body to which the submission is to be made. Our team of experts has developed many methods like residual solvent analysis by GC, analysis of related substance by HPLC and GC, assay method validation, etc. It is improtant that customer deliver quality product with given time line. Validation of product as per specification becomes important part for this to realize. Due to our experience in Bluetooth Smart and IoT technology, we provide service to validate user device from different aspects which are critical, for product success in field. Owing to our extensive years of industry experience and profound market understanding, we are providing Method Validation Service. 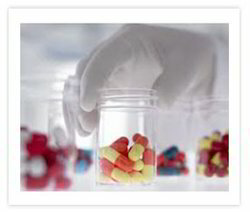 Perfectly executed, these validation services demanded in pharmaceutical sector. In order to provide perfect and flawless validation services, our team members only use the most modern technology. Efficiently move your formulations and ingredients towards approval and commercialization by using our analytical method development and validation activities. At Genomelabs, we undertake analytical method validation activities for nutrition and ayurceuticals products including, in-vitro efficacy studies. Your project’s success is our priority and we place great importance on timely and thorough analytical and process validation services. - Comparative Dissolution with similarity and disimilarity factors etc. How do some of the most successful businesses design the products/services exactly the way their customers desire Such businesses have unlocked the secrets of flawless process design that delivers exactly as expected and with time it only improves further. Sharp skilled professionals of our team provide Method Development and Validation Services. This presented validation service is much satisfying and quickly completed by professionals by following best strategies. We charge lesser price for method development work. Jubilant Pharma And Chemical Lab (OPC)PVT.LTD. Prudentia produces validated computer system solutions. We do it for our systems and we do it for our clients’ systems. Our team of onshore and offshore resources can lead validation streams, author test scripts, dry run scripts, pre-approve scripts, execute scripts, and post-approve scripts. Prudentia Consulting India Pvt. Ltd.
We believe that our products are useful to our customers only if they can be qualified backed with good documentation. We have a FAT centre dedicated to qualifying our equipment prior to leaving the factory. Regulatory agencies expect to see some level of validation for non-compendial methods. Whether your submission is an IND, NDA, IMPD, MAA, CTA, ANDA we can provide the appropriate level of validation for test methods in your CMC section. All relevant guidelines, such as the ICH guidelines are followed.